The all-new CST Abuzz is an all terrain tire built to conquer every trail condition from soft to hard terrain to mud, sand and rocks. Its lightweight construction gives riders effortless steering, quick braking and faster acceleration. Lightweight construction for effortless steering, quick braking and rapid acceleration. 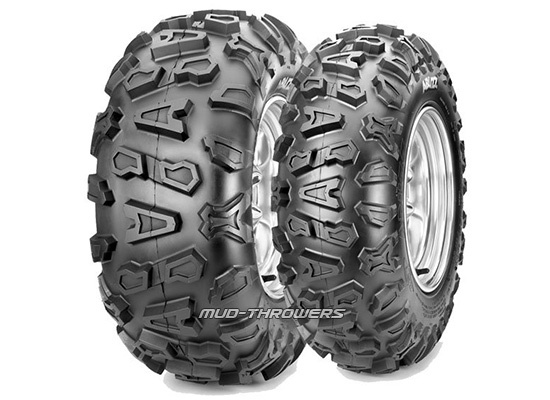 Shoulder lugs provide extra traction while cornering and protect the sidewall in rugged terrain. 6 ply rating construction for extra load capability and durability. Aggressive design looks great on any machine! the tires look so much better in person an grip well an will slide around turns like a dream I have 27x9x12 an 27x11x12 on a 2012 polaris rzrs an they r a perfect match.